The 2019 BWF Annual General Meeting will be held on Thursday 23 May 2019 in Nanning, China, in conjunction with the TOTAL BWF Sudirman Cup, 19 – 26 May 2019. Official Hotel – The official hotel for the BWF AGM and Forum is the Wanda Vista Hotel Nanning – (official website). Transport on Arrival – Transport is offered from Nanning Wuxu International Airport (NNG) to the Wanda Vista Hotel return. At the AGM on 23 May 2019, elections will be held for two vacant positions on Council – Deputy President and Council member. BWF has received three (3) nominations for the Deputy President and eight (8) nominations for the one vacant Council member position. The lists of candidates can be download above. 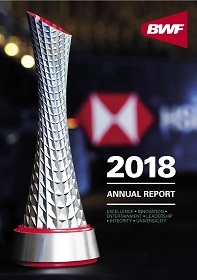 The 79th BWF Annual General Bangkok was held in Bangkok, Thailand – 19 May 2018. See the Image gallery. The following documents can be downloaded above. Notice of the Deadline for Proposals and Nominations for elections. The key decisons of the annual meetings and Council meetings are available for download (linked here). 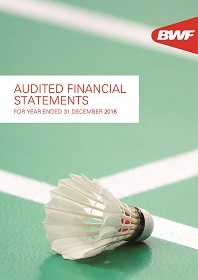 The last six annual reports and audited financial statements are published on the BWF website (linked here).